Interview with Taha Ghayyur: Leadership in Action! When sitting across Taha Ghayyur, you would never be able to guess that beneath his humble and confident exterior lives a dynamic combination of creativity and intelligence. Taha personifies the new generation of young Muslims who have made their mark as professionals, and continue to make a difference for Muslims living in Canada. His teenage years are of a typical young Muslim in Canada navigating their way toward a confident identity that is rooted in Canadian values and faithful to their religious traditions. What he took away from his life experiences laid the foundations for his ambition. 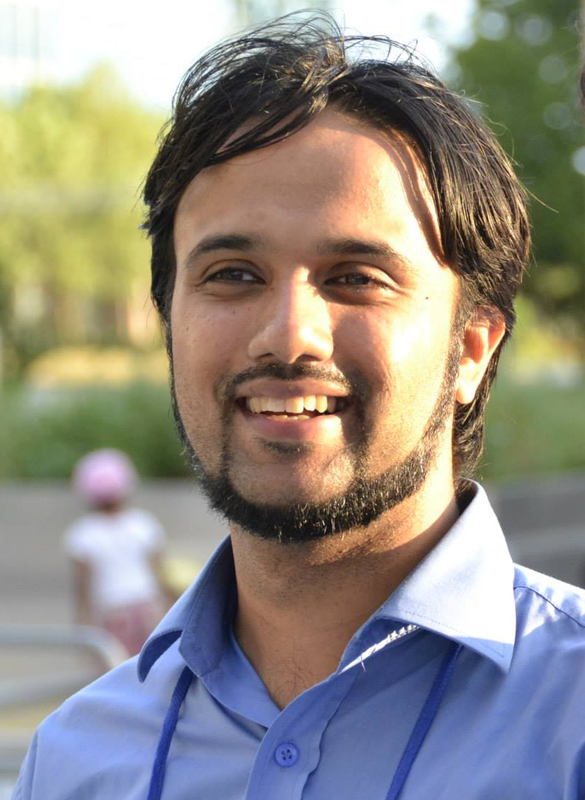 After graduating from the University of Toronto in Religious Studies and Marketing, Taha embarked on an information technology career during the booming “dot com” era, which paved the way for his future work with the Muslim community. Taha Ghayyur’s resume shows his incredible talents and accomplishments. If you’re a Muslim living in the GTA, it’s highly likely you have been impacted or influenced by some of Taha’s impressive work. He’s been a chairperson for MuslimFest, an annual festival showcasing Muslim art and commerce, helping set precedence for such a gathering in the GTA. He has engaged the Muslim community through an online weekly publication, of which he was the founding editor. Since 1999, the publication has sought to inspire and advise youth around the world on contemporary lifestyle issues with Islamic literature. But Taha’s career truly took off in 2005, when he accepted the position of Development Manager with Sound Vision (www.SoundVision.com), a pioneering Islamic media organization in North America. Since then, he has also been the Managing Editor of the company website and online newsletters. He is involved with production of the world renowned Adam’s World videos, a flagship Sound Vision production for children. On top of all this, Taha serves as a volunteer on the board of DawaNet, a powerhouse not-for-profit organization in Canada focusing on Muslim empowerment, engagement, and education. DawaNet is responsible for the Torontomuslims.com portal, the Understanding Islam Academy, MuslimFest, MY Voice and the Canada Zakat project. Taha is an incredibly talented young man, a well-known writer, public speaker, community organizer and marketing consultant. When I sat down in conversation with him, Taha explained his vision of combining creativity and spirituality. “The end goal has always been to be involved in making Islam accessible, affordable and socially relevant at a local, national and international level,” he said. Taha has proven to be a strong leader without a boisterous exterior. After an incredible conversation with someone who has given so much to our community, I walked away feeling humbled to the fact that Taha Ghayyur has been the backbone of many leading Muslim ventures. Yet he remains unnoticed, only because the focus of his work has always been for his community, and never for himself. Being a father of three young children, Taha hopes that the next generation of Canadian Muslims will contribute even more to Islam and Canada. He has given practical meaning to his ideals for having a purpose-driven career and by giving back to his community in creative ways.